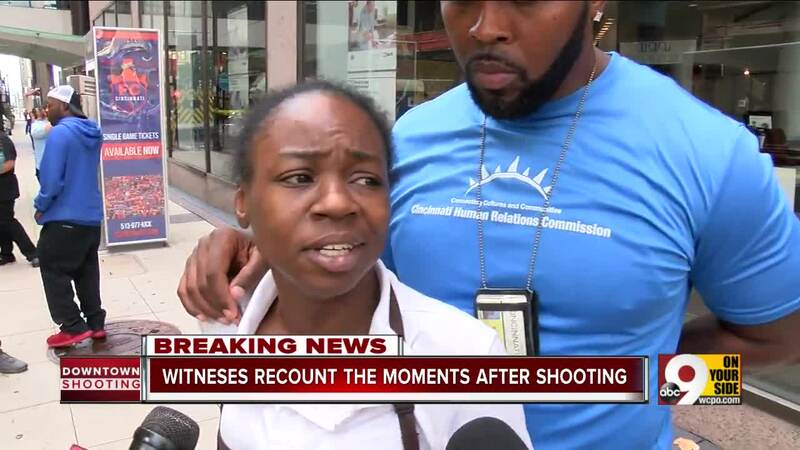 CINCINNATI -- An eyewitness described to WCPO a terrifying scene -- a shooter opening fire on people in the lobby as they waited to be escorted into the Fifth Third Center Thursday morning. 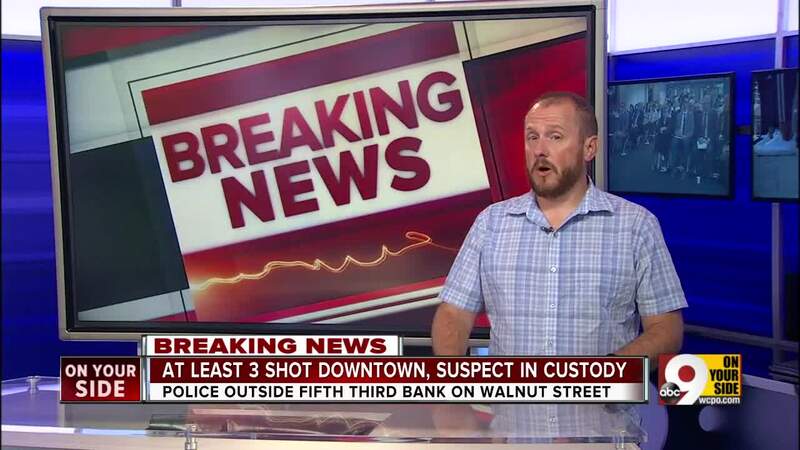 "He was like 4 meters away from me shooting," said the witness, a Fifth Third Bank employee. "These guys were waiting to be escorted into the building and I was swiping my card and I hear, 'Pop! Pop!' "
The witness said he saw three people shot. The shooter had "a short gun, just like a pistol," the witness said. "I started running and the security guard was just sitting there trying to figure out what's going on. 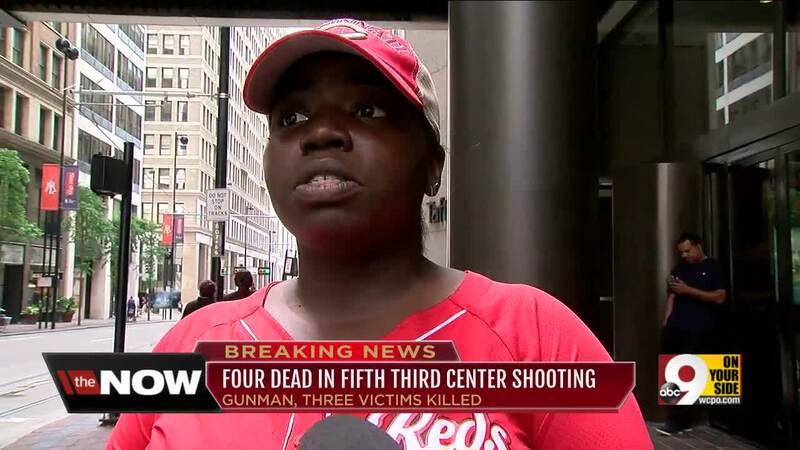 "There are three guys I know that had been shot. Definitely, they had been shot because he was like 3 meters away from them. That was maybe another 5 meters" from the witness, he said. WCPO talked to several people who described terrifying sights and sounds on Fountain Square Thursday morning. Another Fifth Third employee said he narrowly avoided a hail of bullets as he ducked into an elevator, according to a coworker on the scene. Two employees at the adjacent Servatii bakery shop told WCPO they heard multiple shots close by and feared the shooters would come after them. "All that was going through my mind was they're coming, they're coming for us. The shots got closer and closer and closer and closer and that's all you can think about is, I'm next, I'm next, I'm next," said Janetta Cook. "It was very close to where it felt like a gunshot was going to come through the wall, that's how close they were," said Michelle Parks. "I couldn't even unlock the door to let a customer back in, it was just happening so fast, everybody just scattered," Cook said. "I locked both doors and we just hid, that's all you can do is hide. I got kids, my kid is at home, I just want to make it back home to my kids." "I was in the back when it initially started and I came out and I was going to leave to go to the bank and she said, 'You can't go out there!' " said Parks. "Then I heard the gunshots and it was just one after another and then it got louder and louder. "You're thinking you're coming to work to have a great day, you don't expect to be on lockdown and in a shootout." "I wasn't expecting to wake up and have my life in jeopardy and it's sad," Cook said. "I hope everybody made it out and those who lost their lives, my deepest condolences to their family. I just hope it never happens again. Another person working across Fifth Street said he heard the gunfire and saw police officers parked nearby race to the bank. Adam Hardwick, who works for the The Plant Trolley, said he was watering plants at The Westin on Fifth Street. Eboni Ginyard works at the Dunkin Donuts in the building. She said she heard a loud boom and thought it was construction. "We heard the second and third boom and we found out it was gunshots, so we all hit the floor and we told the customers to come in there with us, which they did," Ginyard said. "And he kept shooting and then he stopped to reload — reloaded again. We saw another customer and told him to come in there with us. When he saw, the man started shooting again." Ginyard said she was so shocked and scared she had an asthma attack. 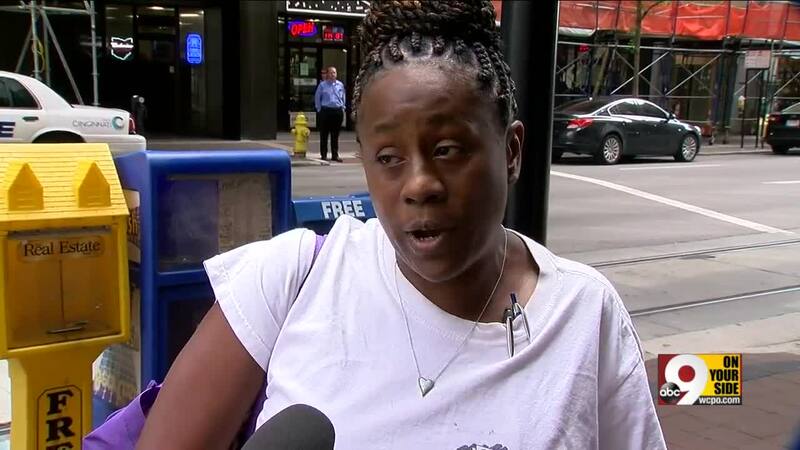 "He shot the glass — the glass shattered, he made the glass shatter," she said. "We saw that from sitting on the floor, started smelling the gunpowder. He was that close. And all he had to do was look over the counter and shoot, because we ain't got no glass to shield us." Editor's note: WCPO does not ordinarily use anonymous sources. However, WCPO staff members use anonymous sources in rare circumstances where such sources are the only way to obtain information vital to the public good. WCPO staff members have vetted these sources and believe the information they provide to be accurate and in good faith.